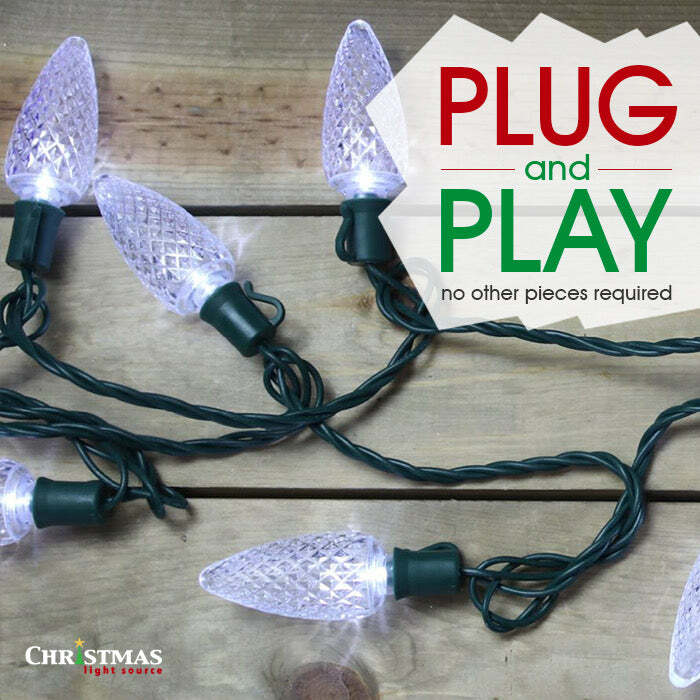 All the beauty of traditional C7 bulbs and cords with the convenience of an all-inclusive LED light string. And with 98 percent less energy being used these lights are quite popular. With these amazing purple LED Christmas lights you can dress your tree up with little effort and maximum pizzazz! 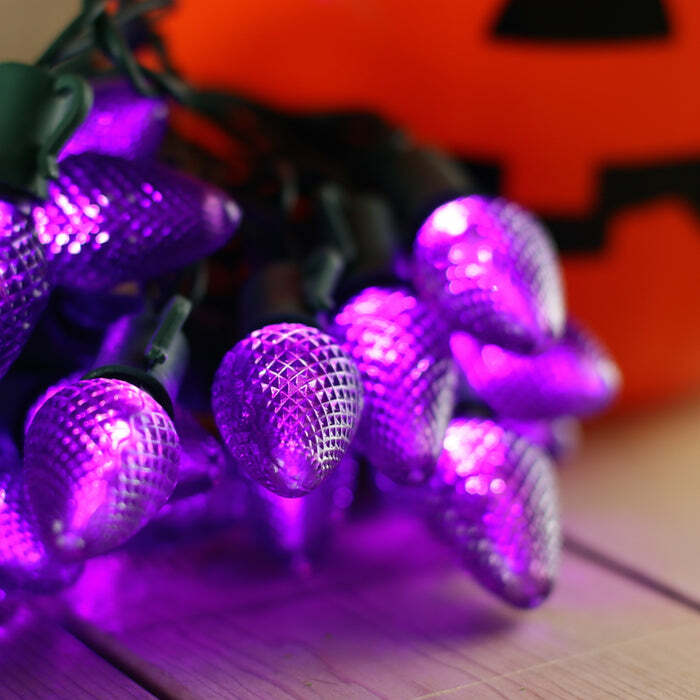 These C7 purple Christmas lights have 25 lenses to the string and 8-inch spacing. With the ability to connect up to 87 sets in a series, the sky's the limit on your parties and events. Plug all of our products into an outdoor rated surge protector. Q: Are these lights a true purple color? Or are they a pinkish, purple color? A: These lights do have a pink overtone on top of the purple. Our separate C7 purple LED bulbs have slightly less pink but do still have a slight pink glow to them.